Revalidation Appeals | Doctors Defence Service – UK. Where a doctor has been unable or unwilling to take the steps necessary to complete revalidation, the GMC will remove the doctor’s licence. A doctor has a right of appeal to an independent panel in such circumstances, and to present evidence to satisfy the criteria for revalidation. The process does not have to be complicated. There are many support services out there that can provide the services of a responsible officer or appraiser, and DDS can often assist in introducing doctors to suitable support of that kind. Where the Registrar takes steps to remove the licence of a doctor, the doctor must take urgent steps to protect their position, by lodging an appeal and then being careful to supply the correct evidence within a specified timeframe. A failure to take either step could lead to the cancellation of the practising licence, without much by way of legal process to rectify the situation. Where a doctor does not have a responsible officer, the GMC will automatically initiate proceedings where a doctor has nnot submitted evidence of revalidation. f) undertaking appropriate CPD – there are no minimum hours specified and so it will be dependent on the doctor’s role and responsibilities (see GMC Revalidation CPD Guidance). The GMC’s core Good Medical Practice guidance underpins the above considerations, especially the domain of probity. The GMC looks for evidence of doctors taking active steps to apply the core guidance to their day to day practice. A doctor is also required to take steps to identify learning points and to take steps of remediation to overcome any shortcomings/weaknesses. A doctor will also need to meet their speciality standards and clinical governance requirements of their department or area of practice. 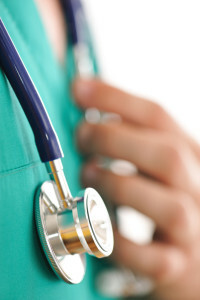 A doctor should arrange an appraisal that covers all of the above, and obtain the relevant evidence. The doctor should speak to their colleagues and responsible officer in order to obtain the best evidence. In essence, the above evidence needs to be compiled in good enough form and quality to satisfy the GMC that a doctor is safe, and responsible in all that they do. A doctor must lodge their appeal promptly. They may lose their right of appeal if they do not do so. Further, evidence in support must then be lodged with a further 56 days from the last date on which the appeal should have been lodged. Again, a failure to lodge the evidence could lead to strike out. The above document sets out the order for an appeal hearing. In short form, the appellant doctor (and their lawyer, if they have one) goes first and calls their witnesses and evidence in support. The GMC then questions each of the doctor’s witnesses as well. The GMC then presents its case or arguments. And the appeal panel makes its decision. 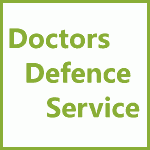 For advice on preparing for a revalidation generally or a revalidation appeal, or for legal representation at a revalidation appeal hearing, contact Doctors Defence Service in strict confidence.